Think of this movie as Britain's revenge. We send them film after film celebrating the real-life exploits of long-ago coaches and players from such mysterious-to-them sports as baseball, basketball and college football. Now, they've returned the favor -- sending us this great story about a beloved but dusty sports personality, embroiled in the regional politics of a mysterious-to-most-Americans sport, a.k.a. the other football. Fortunately, unlike most of our homegrown sports flicks, this isn't some inspirational claptrap. 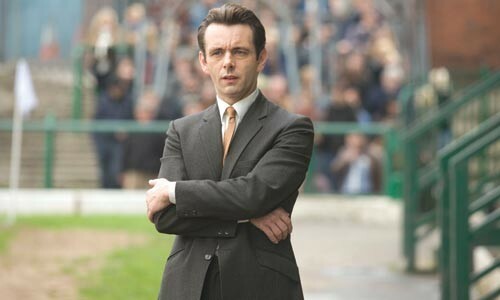 Tom Hooper's somewhat witty, somewhat gritty bio-pic is less about the game on the pitch than about one of its bench personalities, the mouthy, ambitious manager Brian Clough (Michael Sheen). 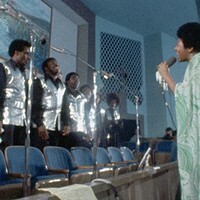 The film covers Clough's (in)famous 1974 tenure as the manager of Britain's top team, Leeds United, a position he held for a mere 44 days before being sacked.